Many states have enacted laws banning texting and handheld cell phone use while driving. But while cell phones were involved in 13% of all distraction-affected crashes, they were a factor in only 1% of all fatal crashes.2 Legal or not, a distraction is any activity that takes your eyes off the road, your mind off the task, and/or your hands off the steering wheel — if only for a moment. Some distracted drivers are overconfident in their ability to multi-task, while others are simply daydreaming or lost in thought. Either way, it’s important to be aware of the common behaviors that could affect your driving performance and possibly even cause or contribute to a terrible accident. Drivers who are placing or answering calls, or having a conversation, tend to be less focused on potential hazards. Hands-free devices are mandated for drivers in some states, but their use does not always eliminate the distraction. It’s safest to make your calls before you drive. If your phone rings while you are driving, let voicemail pick it up. Texting is one of the riskiest things people do while driving, because a driver who is reading or sending a message may spend several critical seconds looking away from the road. 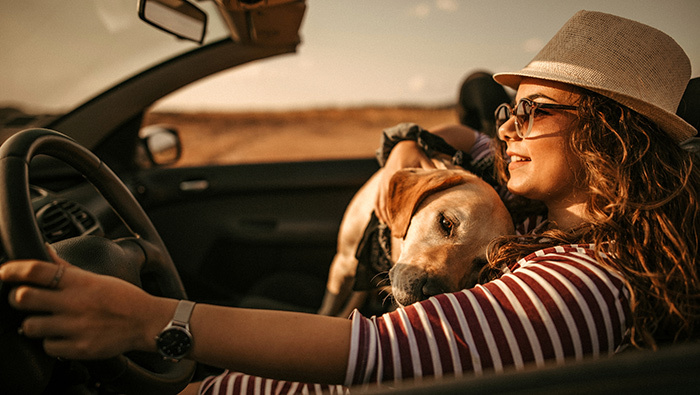 People and animals are sometimes the most difficult distractions to control, but it’s important to remember that simply turning around to talk to passengers could be a deadly mistake. It’s not easy to explain to young children that driving demands your full attention, but it’s worth a try. Diversions such as books, games, and toys may also help. If a situation involving a child passenger becomes a distraction, it’s best to pull over to a safe spot. Pets should always be secured in a pet carrier or harness device and never be allowed to roam freely in the car or sit on your lap. As normal or necessary as it may seem, fiddling with a navigation system, music player, or climate controls can take your attention away from the road long enough to create a hazardous situation. It’s best to delegate these jobs to a passenger or wait until the car is stopped to make adjustments. Eating or drinking while driving a vehicle presents another set of challenges. When your hands and your mind are otherwise occupied — such as when opening or unwrapping, reaching or leaning, spilling and wiping — the likelihood of an accident increases. For the same reason, grooming tasks such as applying makeup, styling hair, and shaving should never be done while driving, even if you are late for work. Driving demands a high level of mind and body coordination to control the vehicle and respond appropriately to hazards on the road. Concentrating on the task at hand and reducing distractions may help you and your passengers arrive safely at your destination.